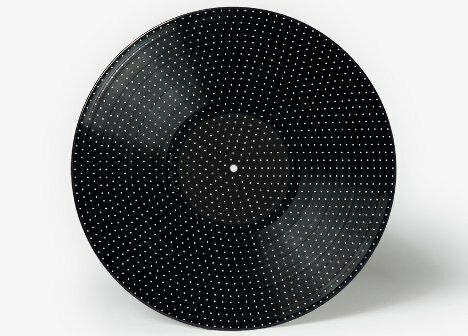 We tend to think that the music on records is entertaining enough, but designer Michael Hansen added another level to their enjoyability. 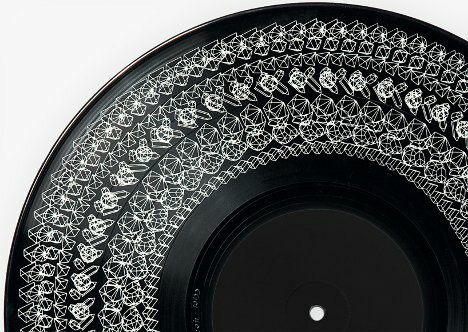 He created records with printed designs on both sides which, when played in conjunction with a strobe light, appear to be adorned with cute little animations. The lovely music on the records (“Waves” and “Crystal Tapestry”) was composed specifically for the project by composer Allan Gravaard Madsen. The stop-motion animations are like a visual representation of the songs, each of the animations being specific to its own song. The spinning motion of the record coupled with the flashing of the strobe light creates the animation effect, though the spinning record still looks kind of cool without the strobe.